The lovely 'My Family' collection by Nomination is dedicated to the special people in our lives. 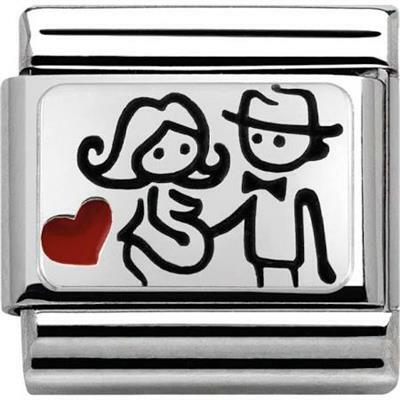 Say congratulations to a mum-to-be with this beautiful charm illustrated with a happy couple awaiting the birth of their baby. This classic Stainless Steel link is detailed with Sterling Silver and engraved with black and red enamel.